The Deck at Moonshine Flats is a one stop shop for fun to be had by all! 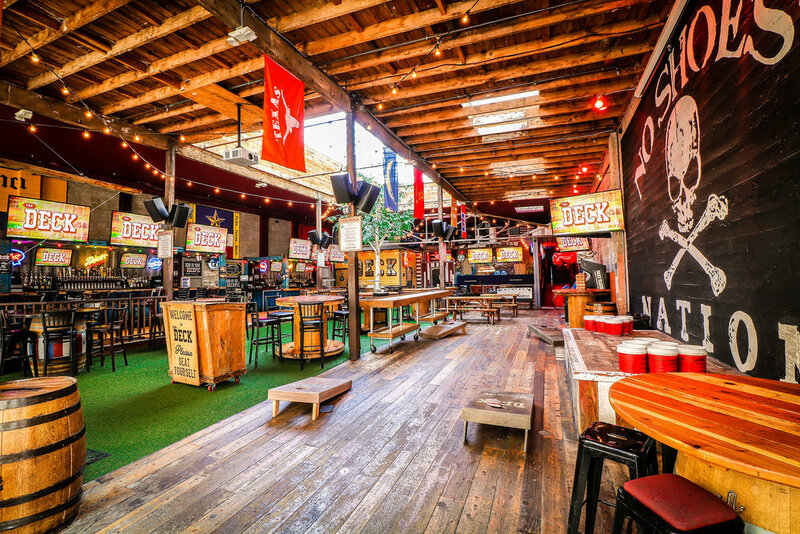 An extension of its rockin’ dance hall sister venue, Moonshine Flats, The Deck is designed to be the ultimate tailgate, backyard BBQ and nonstop country party all rolled into one. 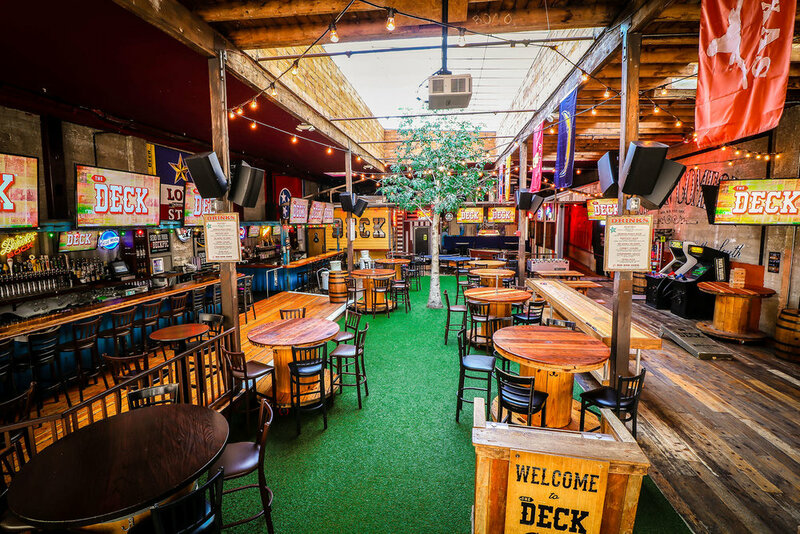 The Deck is a completely open air venue, with a retractable roof, large tree in the center and iron gates that serve as the front doors. 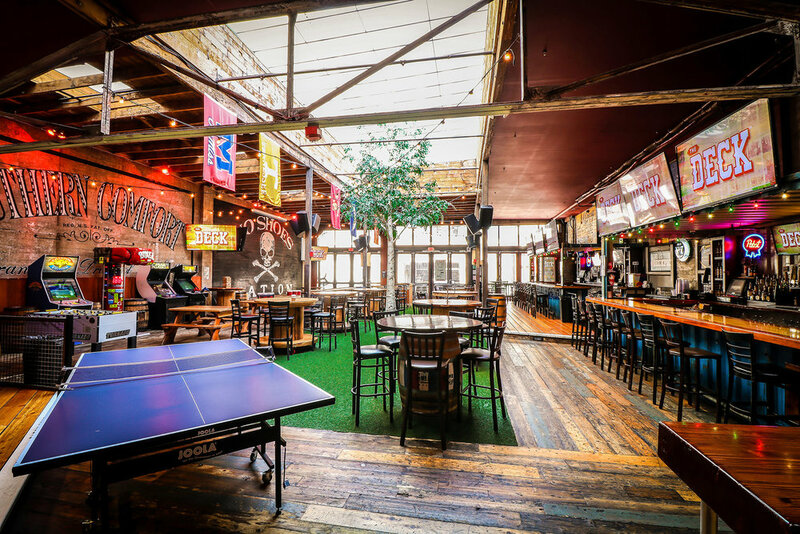 Whether it’s our in-house corn hole or shuffle board, the games are ready to rock for your guests. The 16 TVs can be customized with a logo or slideshow and the sound system can accommodate a DJ, although our “plug-n’-play” music is already included! The “No Shoes Nation” Stage is perfect for an acoustic duo to amuse your guests or can also be used for any speeches that may be necessary for the event. 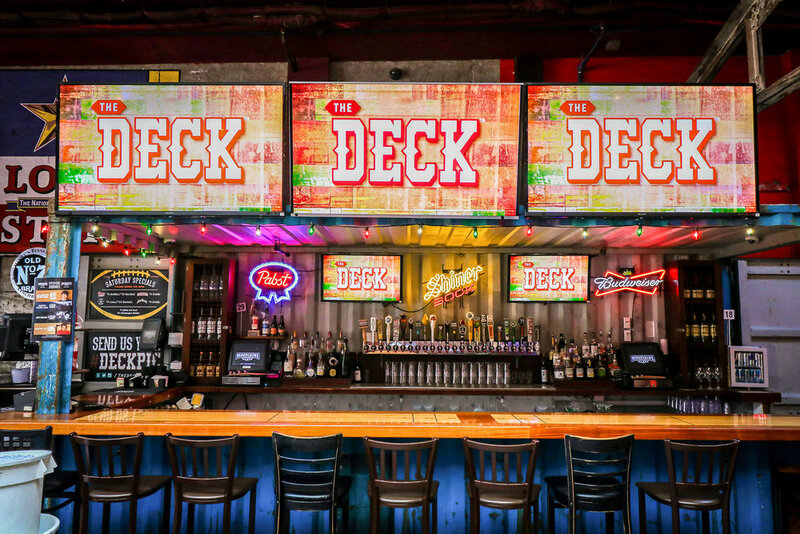 The Deck at Moonshine Flats is the party waiting to happen!